The look of Timber Venetians is ideal for certain styles and decors. 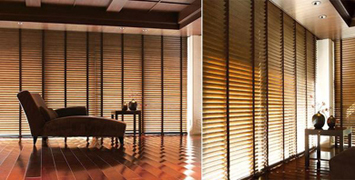 Timber Venetians are available in real Cedar or in a synthetic Timber Style material. Cedar Venetians are warm and naturally attractive; they are lightweight, stable and resilient and rarely crack, split, cup or warp. 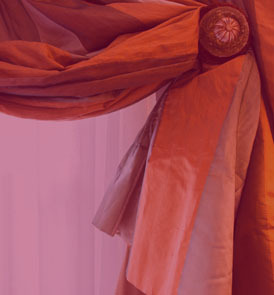 They are available in several slat widths and tones. Timber Style Venetians have the appearance of Cedar, but at at a lower cost. Being synthetic they do not absorb moisture and so make an sound choice for use in wet areas such as bathrooms and kitchens.